On a recent flight to Ottawa for a Building Trades Conference, Director of Training of the Finishing Trades Institute of BC, Paddy Byrne, was approached by a gentleman who noticed that he was wearing an FTI shirt. “I see you are wearing a Finishing Trades Institute shirt. I would like a tour of your facility” the gentleman said. “Of course” replied Byrne “now, who are you”? It turns out that gentleman was Liberal MP for Pitt Meadows-Maple Ridge, Dan Ruimy. Then another gentleman spoke up and said “I’d like a tour too”. Byrne was surprised to see that his own local MP, Ron McKinnon, who represents Coquitlam-Port Coquitlam, was also on the flight. 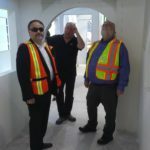 Byrne immediately extended an invitation to both Ron and Dan and yesterday both MP’s had their opportunity to see first hand the excellent work we do here at the FTI of BC. 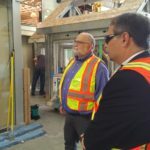 The Liberal Government and their Leader, Justin Trudeau, has made no secret of the fact that they are big supporters of Union apprenticeship training facilities across Canada. In the time that the Liberals have been in office, no fewer than five Liberal MP’s have taken the opportunity to tour our school here in Surrey. Our local MP, Randeep Sarai, has been here twice. The previous Conservative administration, under the leadership of Prime Minister Stephen Harper, never once stepped foot into our training centre during their entire tenure. In the next ten years it is believed that 248,000 construction workers across Canada will retire from the workforce. 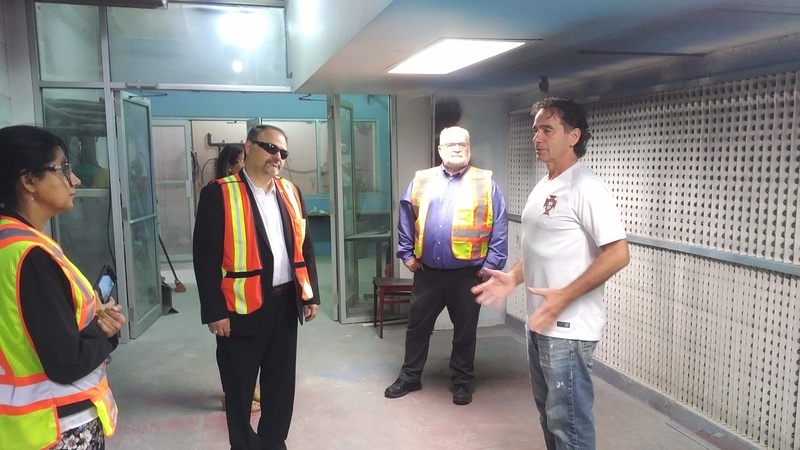 Union training facilities in every province in this country are doing our part to train the next generation of Red Seal tradespeople. It’s comforting to see that there is a Federal Government in place now that appreciates our contributions in developing tomorrow’s skilled workforce.